It is a coincidence that my post on Lady Hyegyong's Memoirs directly precedes the review of this book. I have read other books in the meantime; I wasn't able to write about them as I was traveling back to my home and struggling to get the house back on track after a long absence. I came across this book when I was looking for Lady Hyegyong's memoirs. I set the book aside as it was available only as a paperback in India. After I was relaxing after setting my house back in order, I ordered the book. The first part of the book is titled "Ancient Times". In this part we get a chronological order of Lady Hyegyong's life. I say 'chronological order' because her diary touches on important events according the person she is addressing. When she is writing for her nephew, she touches on her early life and barely mentions 'that event', the death of her husband Prince Sado. When she writes for her son, King Jeonjo her narrative is different and she touches on events that are of importance to that era. 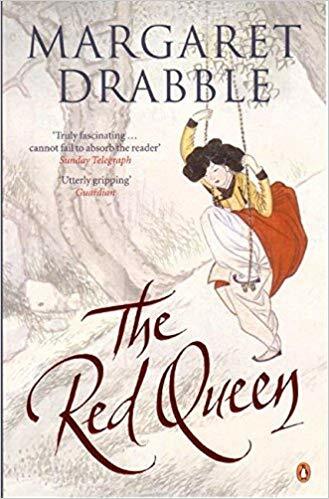 She opens up about her husband only in the last part Here, Margaret Drabble summarizes Hyegyong's life in correct order. In the second part of the book we meet Babs Halliwall who is on her way to South Korea for a conference. She has packed some books to read, among them Lady Hong's (Hyegyong) memoirs which was a mysterious gift received from Amazon. She never really tracks who this gift is from. Reading the book on her flight, she is struck by the story and decides to visit the palace and the tomb of the queen. Once she is at the conference she finds there are a lot of people who know about Lady Hong and are willing to help her visit the places the Crown Princess lived in. She also talks to the star of the conference, Jan Van Jost about the Crown Prince Sado and the memoirs of his wife. Jan Van Jost is equally captivated with the story and accompanies Babs on her pilgrimage to the Palaces. The story of Babs and Jan obstructs the story of the Crown Princess which was supposed to dominate this book. The tale tells us how memory travels, how books are adopted by various agents to make it more popular. Yet the story of Crown Princess does not travel enough for us to get a sense of that. Most people Babs meets in Korea already know about it. She conveys it to Jan and later to another companion. It does not merit the effort the 'ghost' of Lady Hyegyong puts in to popularize her story. Also the 'ghost' talks of parallels she has found in stories of other queens, a perspective she gains after she becomes a ghost and was able to access the information, interrupts the narrative. Korea is merely a destination for Babs and never really comes alive, her visits to the Palace are desultory and not given enough mention. It is Babs own story with Jan Van Jost that claims all the attention. As for me, I was drawn to the story of Prince Sado after watching a South Korean historical TV series that featured King Jeonjo. He talked about his father Prince Sado and that set me off on some research about the unfortunate fellow. Subsequent viewings of Korean TV series based on the Kings who were Sado's predecessors and successors have honed my interest and knowledge. There is no evidence of such a wealth of information in the book.